Fitzroy Island is a beautiful island located near Cairns in North Queensland. 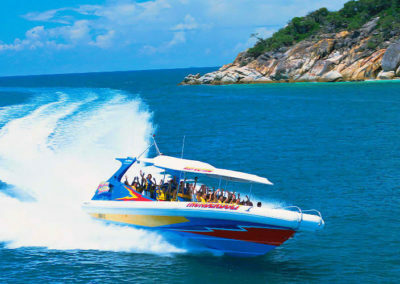 If you only have a short time to explore the Great Barrier Reef then this half day tour to the island via speedboat is a great option! 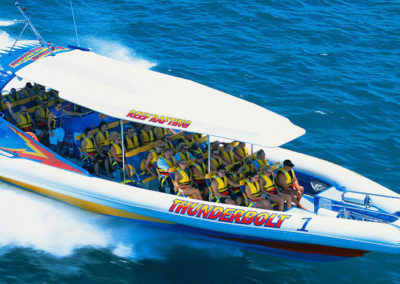 Travelling aboard the ‘Thunderbolt’, have fun racing to the island at fast speeds giving visitors as much time as possible on the island. 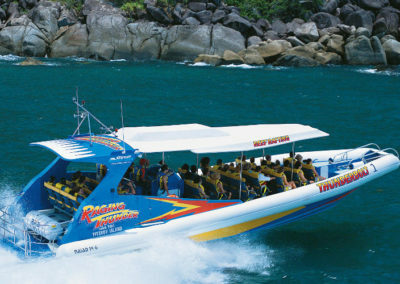 In 30 minutes, visitors can be swimming, snorkelling or walking the nature trails on Fitzroy Island. The standard half day tour gives visitors up to 4 hours on the island to spend as you wish. 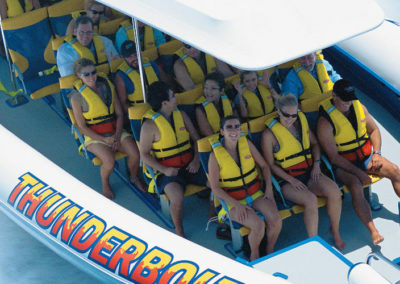 Optional upgrades are available to include lunch, a glass bottom boat tour and/or snorkelling equipment hire. This tour is a budget friendly way to explore the Great Barrier Reef and represents great value for money with return transfers and lunch included. Or you can choose to upgrade to include additional activities such as snorkelling. The tour leaves the Cairns Reef Fleet Terminal at 10am and returns around 3pm. A $5 per person levy is not included in the tour and is payable on the day. 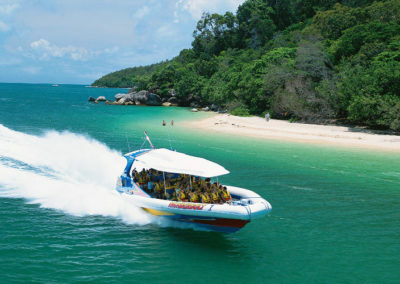 Make the most of your time in the Great Barrier Reef with this half day trip to Fitzroy Island. 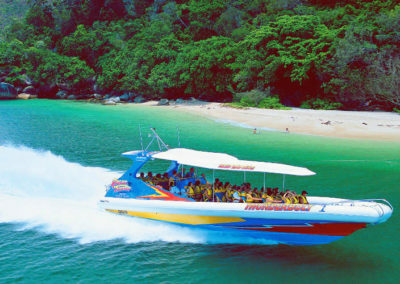 Book your Fitzroy Island half day trip online today!